Customize Your Apartment – Design your own space now! Sign up today on our wait list and design your apartments interiors in advance. Choose your flooring, countertops, paint color, lighting and more. Whispering Winds in Bend, OR, was developed with the active retiree in mind. You don't want to downsize and you shouldn't have to. Our floor plans are designed to be exceptionally spacious and functional for your busy lifestyle, while reducing the responsibility of home maintenance. Choose a floor plan that best fits your needs. 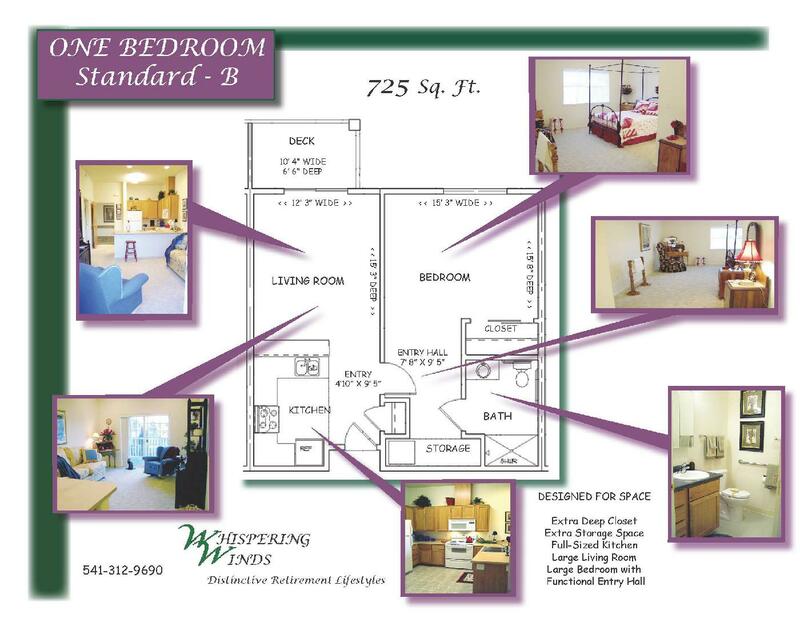 With some of the most spacious retirement apartment homes in Central Oregon, Whispering Winds offers you comfortable and efficient living spaces that will make you feel right at home. All of our apartments include a full kitchen with full-sized appliances and a built-in eating counter. You'll love the closet and storage spaces provided and you'll have access to additional storage if you need it. And, you can enjoy the beautiful Bend weather on your private balcony or patio. 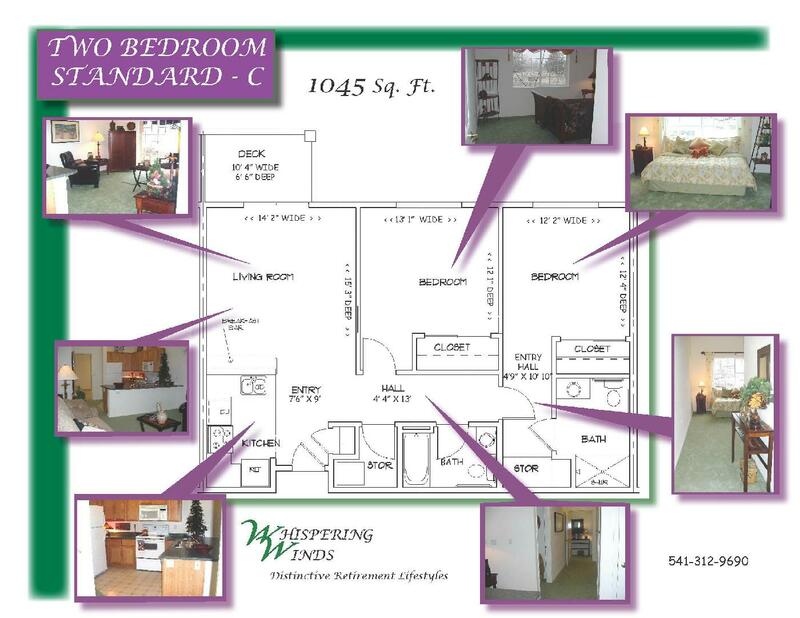 We feature three sizes of two-bedroom apartment homes from 1,045 sq. ft. up to 1,319 sq. ft. Many of these offer a walk-in closet and all include two bathrooms. Choose from a double-master layout or a master and guest room/den option. Our one-bedroom apartments are 725 sq. ft. with step-in closets and extra storage. 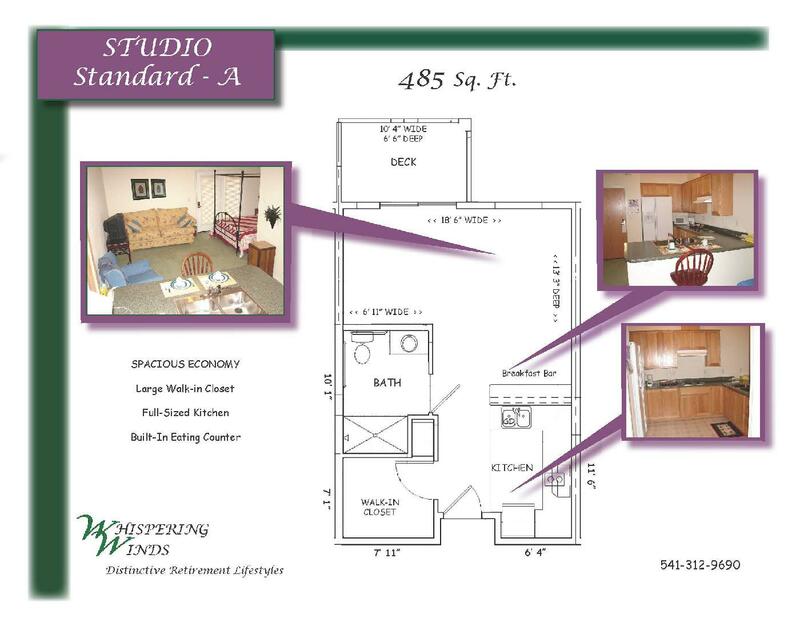 Our studio apartment homes are 485 sq. ft. and feature a walk-in closet. We also offer four cottage homes well-equipped with full kitchens, laundry, garages, and a back yard. 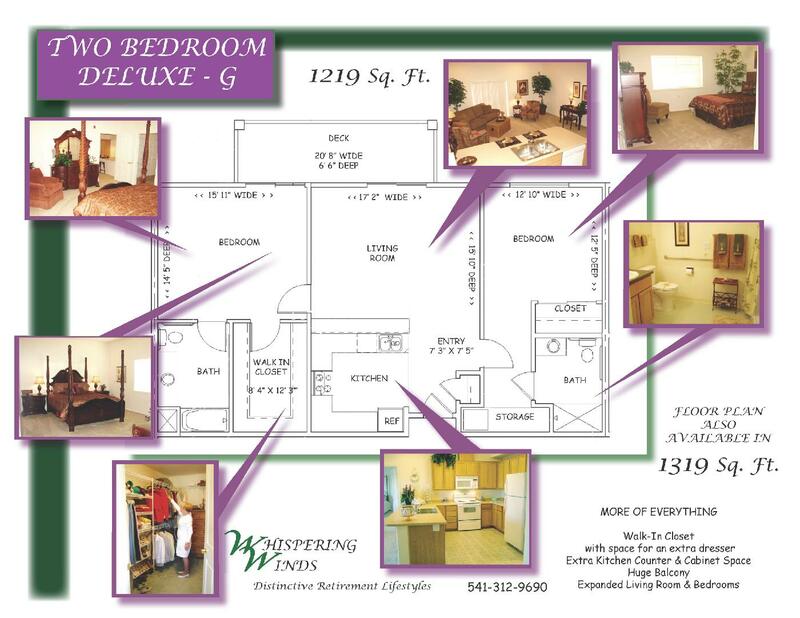 Check out our floor plans and start imagining how your furniture will look in your new apartment home at Whispering Winds.